Play therapy refers to a variety of approaches used by child psychologists and other child therapists in which the therapy includes both talking and play, a natural medium of expression for children. Play therapy is not simply play, any more than adult psychotherapy is simply talking, but rather this method encourages the child to explore his or her feelings and experience in a supportive environment. Emotions are often difficult to understand for children and even more difficult to express. Play provides a non-threatening way for children to express themselves. Play allows children a safe psychological distance from their problems and allows them to express their true thoughts and feelings in ways best suited to their developmental level. This is particularly important when children are trying to come to terms with trauma, such as physical abuse, sexual abuse, or the loss of an important relationship through death or divorce. It is also an important aspect of therapy for children who are displaying “difficult behaviour” such as aggression or being oppositional, since these children are usually struggling with difficulties in expressing their feelings in appropriate ways. Along with play, I may also use other methods to help children experience and express their feelings more constructively. Virtually all children that I work with like coming to see me, so parents are not faced with a struggle getting their child to therapy. As with adults, an important aspect of experiencing safety in therapy is confidentiality. Confidentiality allows children to feel that they can fully express themselves without being inhibited by the concern over their parents’ reactions or feelings. Therefore, like most play therapists, I do not tell other people what children specifically say and do in play therapy (except in cases of allegations of abuse or a high risk of harm t o self or others). I involve parents by sharing general themes in their child’s therapy, talking about their progress, and discussing my conclusions about their child. When I work with children in play therapy I prefer to meet with the parent(s) on a regular basis and during this time we also typically discuss ways of responding to their child that will be most helpful. Family therapy, involving all family members living with the child, can also be a useful approach to use together with play therapy. Regardless of the particular reasons a child is working with me, I will involve parents in supporting their child towards greater emotional health. No matter how well parents are parenting their children, there are always ways to offer their children more of what they need. I will ask parents to get some direction through reading or video, and then I provide coaching based on real-life situations with their own child. 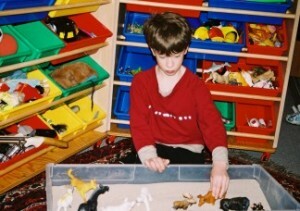 When parents are willing, I also provide them with training in a basic kind of play therapy. Called “Filial Therapy”, research has demonstrated that children benefit substantially when parents learn to relate with their child in this way during a “special play time” once a week. I see children for play therapy in a studio adjacent to my home. The home environment is likely more inviting and less stigmatizing for children. I am a Certified Play Therapist (Supervisor Level, #470) with the Canadian Association for Child and Play Therapy. In the past I was a Registered Play Therapist – Supervisor, with the U.S.-based Association for Play Therapy, but switched my affiliation to the Canadian Association. 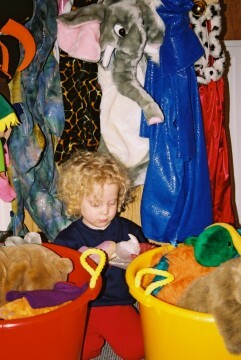 As with all certified play therapists, I complete a substantial amount of ongoing continuing education in the field. I have also provided continuing education and supervision to play therapists in the community.